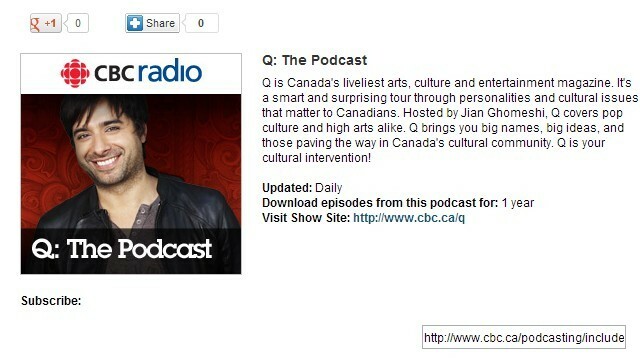 If you don't have iTunes or an iPod, you can download podcasts with Hidownload on the Internet. 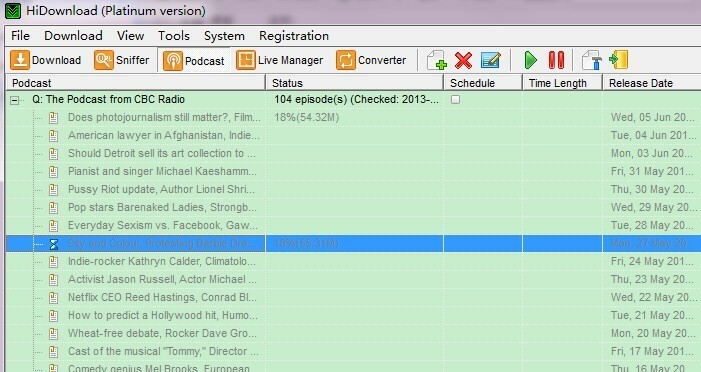 How to download online podcasts with HiDownload? 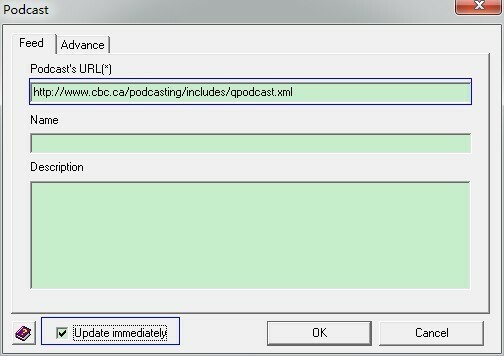 Look for podcast shows from a chosen website on the Internet, it’s easy for you to get a link address of podcast (a web address which usually ends in .rss or .xml). 5. 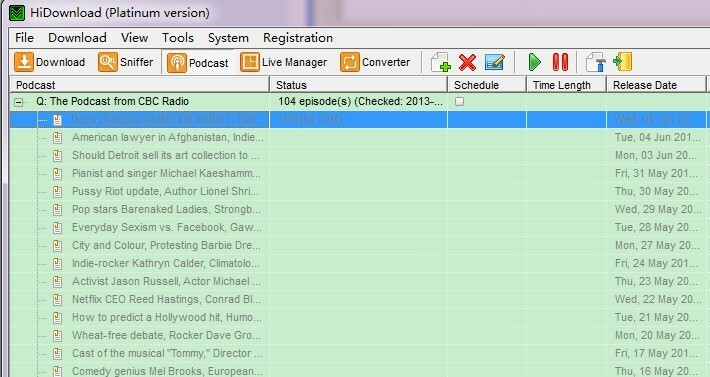 All the episode, mp3 and media files will be quickly listed on the chart and downloaded one by one as long as Hidownload gets the RSS/XML. Select any episode, and click "Start" . The podcast is queue to download immediately.